Al Maali Beauty Center provides different beauty care services for the ladies of all ages with good care and hospitality including Hair services, hand and foot care, Nail care and henna, Facials and other treatments in Al Warqaa area. Vitamin salon is a full-service Gents Salon giving good service, quality products and great styles at an acceptable price/value relationship. 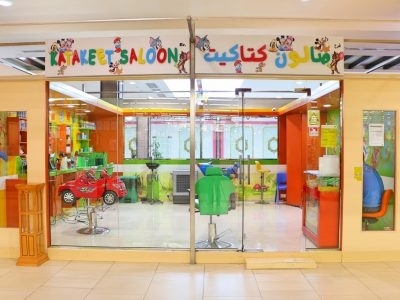 Vitamin salon provides haircuts, beard and shaving services and skin care using branded products..
Katakeet Salon is a themed hairdresser salon for children and is known for its extremely good value for money. Expert hairdressers makes it a professional kid salon. Entertainment for the young customers is also provided in the outlets. Grand Flora Spa & Ladies Salon provides the most comprehensive of beauty care services. Pampering women of all ages with the much deserved care and attention from head to toe. including all beauty treatments and makeup solutions. AFG Gents Salon is an exclusive salon for men having services including cosmetic treatments like facials and masks, Hair cutting, Shaving, Hair Setting & Other beauty treatments. AFG uses only branded high quality products for all the services. 4U gents salon gives services including haircut, beard trimming, shaving and other hair treatments using quality equipment and branded products at an affordable price.